"This Dr. is no non-sense !!! Again a consummate professional !!!!!" "Dr Deitch and other female Dr/Asst. I am sorry forgot her name are a pleasure to visit and care very much about your health." "Dr. Deitch is always up front with me I think he is the best doctor he takes good care of me." "Completely comfortable with Dr Deitch and his explanation of my surgery and all my medical needs prior to surgery and all follow up visits..."
"I have been a patient of Dr. Deitch for the last 5 years. He, and his staff have taken EXCELLENT CARE of me." "Dr. Deitch is an EXCELLENT DOCTOR. " "The doctor explained the results of the test"
"I was very satisfied by the way Dr. Deitch handled my visit. Also he is an excellent surgeon as he operated and did a bypass on my left leg for arteries that were 100% clogged." "Dr. Deitch was very professional and explained my problem thoroughly. He also recommended what the next step would be to take care of problem." "I have already recommended Dr. Deitch to other people, they were very pleased & confident with him. " "Care provider is courteous and very friendly with me. " "All are PROFESSIONALS no complaints." "Dr. Deitch is the best!!" "Loved Dr. Deitch - Caring, compassionate & friendly. Listened to all my concerns." "Dr. Deitch id one of the nicest doctors I have ever met. " "Have been seeing him for several years, and he is always very friendly and informative." "Dr. Deitch is very concerned and caring. He takes his time to discuss my problem with me and my family. He is warm and friendly and puts you at ease." "He is very nice to me." "I have a good experience whenever I go see Dr. Dietch. He is a VERY compassionate doctor." "He is courteous & caring." 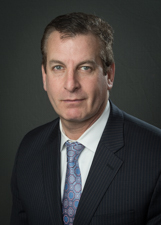 "Dr. Deitch & his staff are excellent. I trust Dr. Deitch 100% with my medical NEEDS." "felt very comfortable & at ease - 1st time visit." "Dr. D. made a very good impression on me & I definitely would seek him out again if there is further need of his services." "Excellent doctor although wait time in office can be longer than expected." "Knowledgeable staff, worked as team & professional." "Outstanding treatment by Dr. Deitch who explained process in easy to understand terms. Terrific service." "Very compassionate, understanding, caring. #9. Excellent." "Time spent was adequate for evaluation & consultation. If more time was needed he would have spent the time, I did not feel rushed with questions." "Dr. Deitch explained my problem & treatment very well. I would definitely go back to him should any further problems develop. He was professional, easy to talk to and made me feel very comfortable." "Nothing lacking - good experience." "Treated me with care and concern." "They where all very good." "The dr. takes his time with you. And takes time to explain everything." "The doctor was very courteous and very caring."